Poquito Mas Mexican restaurant is going mano-a-mano against Taco Bell over the latter’s use of the “Live Mas” trademark and service marks on its restaurants, food, and beverages. Founded in 1984, Poquito Mas has more than ten restaurants in California and differentiates itself by selling high quality food, always using the freshest ingredients and freshly made salsas. It also has several USPTO registered for its family of MAS trademarks including Poquito Mas, The Mas, and Mucho Mas, among others. Because most of its trademarks have been registered for over five years, the trademarks have become incontestable per 15 U.S.C. § 1065. 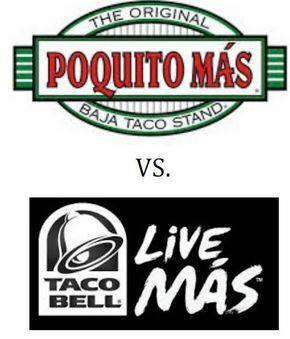 Plaintiff alleges that in January of 2012, Taco Bell contacted Poquito Mas in an attempt to license the “Mas” trademark to use in its “Live A Little Mas” advertising campaign. After some discussion, however, Poquito Mas declined to license the trademark because it believed Taco Bell’s slogan would diminish the Poquito Mas brand and confuse customers. Shortly thereafter, Taco Bell is accused of launching the “Live Mas” campaign despite its knowledge of the extraordinary fame and strength of the Mas trademarks: “Taco Bell is still actively using, promoting, and otherwise marketing the ‘Live Mas” trademarks with the knowledge and intent that this may cause consumer confusion between Taco Bell and Poquito Mas.” In addition to the trademark infringement claim, Poquito Mas asserts causes of action for false designation of origin and unfair competition under both federal and California law. 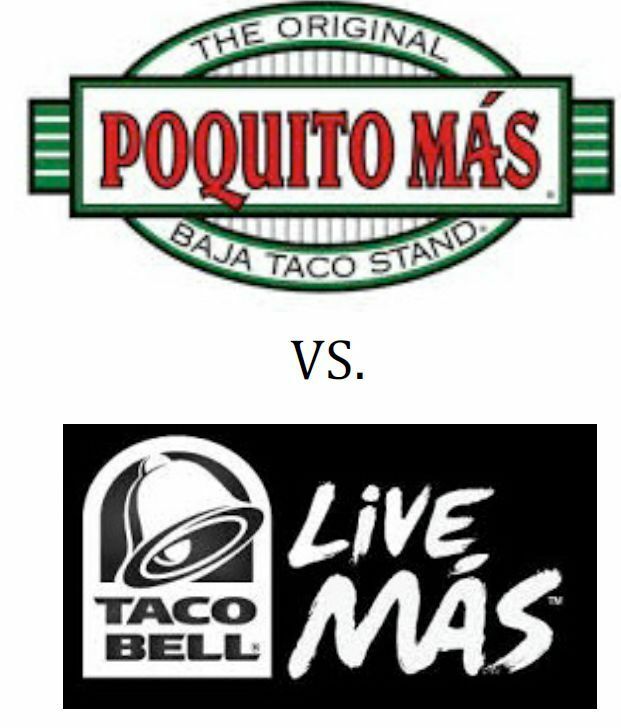 Poquito Mas seeks unspecified damages, attorneys’ fees, and costs in addition to preliminary and permanent injunctions prohibiting Taco Bell’s use of the Live Mas marks in its advertising. Further, because Taco Bell’s knowingly infringed the trademarks, Poquito Mas asks the court to triple the damages under the Lanham Act and award punitive damages under state law. In another example of the problems caused by using your own name as a trademark (e.g., Van Halen trademark lawsuit and Joseph Aboud trademark injunction), Roger Cleveland Golf Company, Inc. and Dunlop Sports Co. Ltd. filed a trademark infringement, unfair competition, and trademark dilution case against Callaway Golf Company. 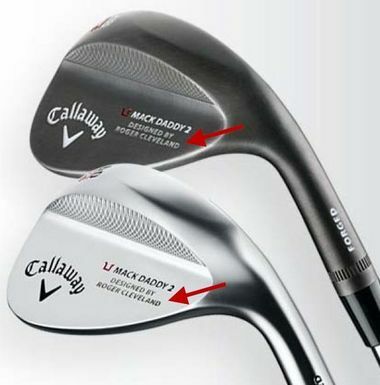 In 1990, Mr. Roger Cleveland, the individual, sold all shares and ownership interest in his eponymous company but remained an employee until 1996, when he joined Callaway. Everything proceeded like a long, straight drive on the fairway until July 2013 when Callaway started using Mr. Cleveland’s name to promote its golf clubs. The picture to the right, taken from Callaway’s website, shows the placement of Mr. Cleveland’s name on the club-head. Even though the clubs may indeed be designed by Mr. Cleveland, the use of the “Roger Cleveland” name may create a false association with or an endorsement by Roger Cleveland Golf Company. 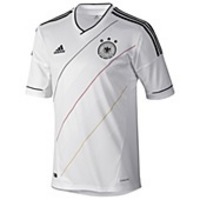 adidas recently learned that Defendants are offering for sale and selling apparel bearing counterfeit and confusingly similar imitations of adidas’s Three- Stripe Mark. Specifically, Defendants blatantly have copied adidas’s Three-Stripe Mark to trade off of the goodwill and commercial magnetism adidas has built up in its mark. Defendants’ actions are misleading and confusing the public, diluting adidas’s famous mark, and irreparably harming adidas’s goodwill and reputation. Accordingly, this Court should issue a preliminary injunction. To obtain preliminary injunction in a trademark infringement case, the plaintiff must show that (1) it is likely to succeed on the merits, (2) it is likely to suffer irreparable harm in the absence of preliminary relief, (3) the balance of equities tip in its favor, and (4) the injunction is in the public interest. Marlyn Nutraceuticals, Inc. v. Mucos Pharma GmbH & Co., 571 F.3d 873, 877 (9th Cir. 2009). Los Angeles, CA – The Otterbox trademark owner filed four trademark infringement lawsuits against several defendants for allegedly selling Smartphone and tablet cases bearing counterfeit Otterbox trademarks. Plaintiff manufactures protective cases, peripherals and accessories for the iPhone, iPad, iPod, Samsung, HTC and other electronic device and computer manufacturers. Plaintiff is the owner of U.S. Patent and Trademark Office registered Otterbox trademarks, “We’ve Got Technology Covered” trademark, and the “Defender Series” trademark. Plaintiff contends that it has spent millions of dollars in advertising to obtain consumer recognition of its trademarks as a symbol of quality. Particularly in light of the success of Plaintiffs products, as well as the outstanding reputation they have gained, Plaintiff and its products have become targets for unscrupulous individuals and entities who wish to take a “free ride” on the goodwill, reputation and fame Plaintiff has spent considerable effort and resources to build up in their products and trademarks. Plaintiff alleges that Defendants own and operate eBay storefronts advertising and selling unauthorized products that infringe its trademarks or bear counterfeit trademarks. One defendant is accused of selling at least $88,000 worth of infringing products. 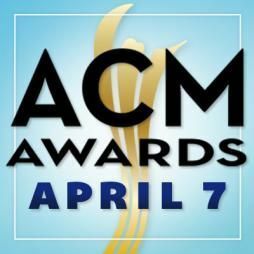 Although the “ACM Awards” trademark is prominently featured on the Academy of Country Music’s website, I was shocked to learn that the Academy only last month filed a trademark application with the US Patent & Trademark Office to register the ACM and the ACM Awards trademarks. 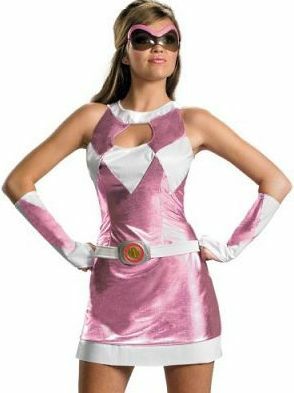 Obviously someone has not been reading my article on advantages afforded to USPTO registered trademarks. Without the benefits of a trademark registration certificate establishing its priority rights, the Academy alleges and must now spend resources proving that it has been using the ACM trademark and ACM derivative marks since at least 1974 in association with services and goods in the country music industry. The Academy also alleges incurring, along with its media partners, expenditures of over $30,000,000.00 over the last 22 years in advertising and marketing the ACM marks, making the trademarks famous. ACM Records, like a good trademark owner should, filed and obtained a USPTO trademark registration for the “ACM Records” trademark in 2008. If the Academy had previously filed and registered its ACM trademarks, Defendant’s trademark application would probably have been refused registration by the USPTO examining attorney. Instead, the Academy claims that ACM Records filed an opposition with the Trademark Trial & Appeal Board (“TTAB”) in February of 2013, asserting a likelihood of confusion and dilution would arise from the Academy’s application to register “The ACM Experience.” Thus the Academy seeks declaratory judgment to its rights to register and expand the use its ACM family of trademarks.